Have you ever had an Avocado Quick Bread? 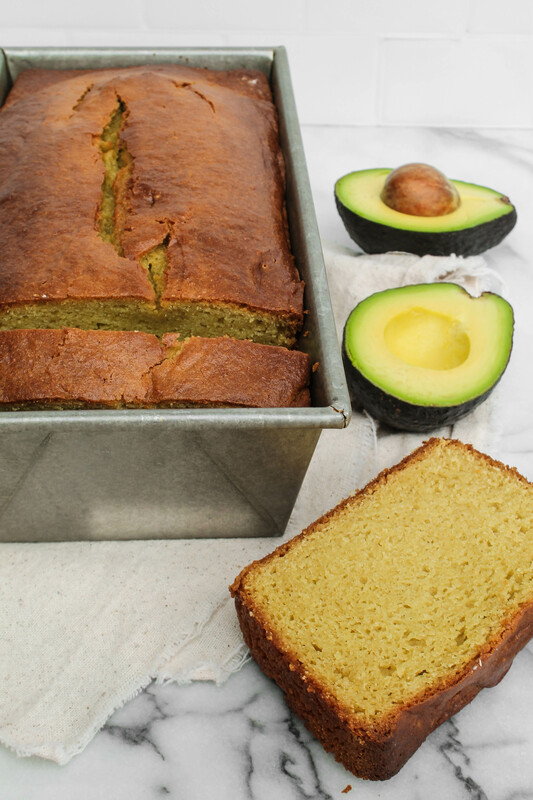 Similar to the traditional banana bread, this slightly sweet bread is a great way to use up avocados that are past their prime ripeness, all while still getting that delicious flavor and health benefits! Quick breads are one of my favorite things to make. Like their name states, they come together quite quickly, barely dirty dishes in the kitchen, and almost 1.5 hours later, you have a gorgeous loaf waiting to be sliced into. With over a dozen quick bread recipes, it’s safe to say a have a few favorites, one of them being the most popular recipe on the blog of all time: Chia Seed Banana Bread. The classic banana bread, made a tad healthier with chia seeds, this bread is such a delicious treat. Other favorites I think you should make soon include: Peach Banana Bread, Lemon Poppyseed Bread, and the Upside Down Cardamom Banana Bread. So it was obvious that the next quick bread recipe on the list would include my favorite all time fruit: avocados! When I thought up of this avocado quick bread, I was in shock that I had never had a slice of it before in some hipster city coffee shop. As I am pureeing the avocados and mixing the ingredients, I wondered why this wasn’t more of a thing. Avocados being the trendy food item of 2016, 2017, and now 2018 – because let’s be real, avocado are no longer a trend but a lifestyle, don’t you agree? The great thing about this recipe is that all the wet ingredients come together in your blender, so the avocados get smooth and creamy and everything gets incorporated super well. Once that’s blended, just fold into the dry ingredients, pop into a greased loaf pan and bake. That’s the hardest part is waiting for it to bake – it does take a little over an hour to fully cook, so be patient! 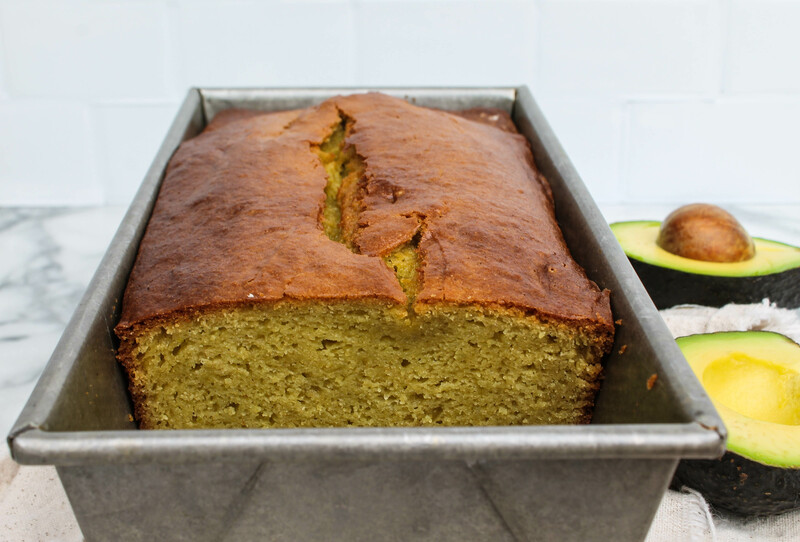 This quick avocado bread is a delicious treat anytime of day - moist, flavorful, and delicious! In a large bowl, whisk together the flours, salt, baking powder, and baking soda. In your blender, pour avocados, sugar, eggs, milk, yogurt, and lime juice. Blend until mixture is smooth. Pour into dry ingredients and whisk until incorporated. Pour into greased loaf pan and bake for 1 hour and 15 minutes, turning the pan halfway through baking. Let cool for 15 minutes before slicing. Disclaimer: I’ve partnered up with Index Fresh Avocados to bring you some delicious avocado recipes. Thank you for supporting brands that support this blog and my work!